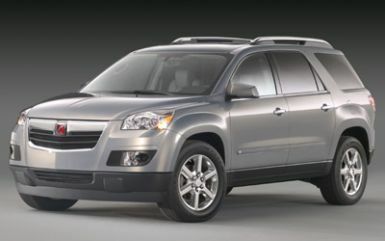 So we are looking to eventually replace Kelly’s 2005 Ford Escape that she got 1 week before she first met me in person. we are looking to upgrade a nice vehicle and have looked at so many different cars. So far we have test drove; Mini Cooper (stock non S version), an Audi A3 (was really nice, drove great), and a Mercedes c320 Sport. 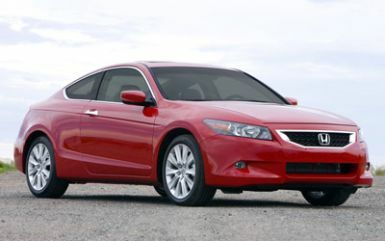 Other then those test drives we have taken extended looks at; the new 2008 Honda Accord (both 4 and 2 door), new 2008 Mitsubishi Lancer (looks a lot like a Lexus IS250, but a lot cheaper), Lexus IS250, Infinity G37, the new 2008 Chevy Malibu, Acura TL and TSX, and then new 2008 Saturn Vue and Outlook. After all that we have narrowed it down to two options. The Saturn Outlook and the honda Accord Coupe (2 door). Either version I want to get the built in navigation system that comes with the car since this will end up being out daily driver once we are home from work. If we get the Saturn Outlook. Kelly would then get the Jetta that we purchased in May and this would end up being my daily driver. It would end up being Kelly’s daily driver and I would drive the Jetta as I do currently. Of course things can change between now and when we are planning to purchase the new vehicle. We don’t plan on buying till sometime early next year, so I’m sure we will have other candidates that might be added to the list. I’m still sort of holding out on the Audi A3, it’s the first one I showed Kelly and she really liked it when she test drove it.